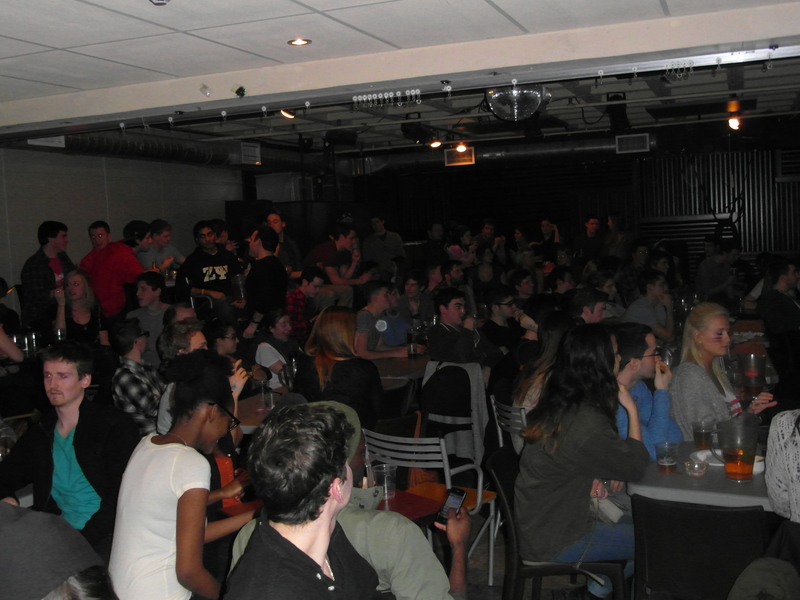 TKO Productions welcomed over 250 guests to McGill’s campus bar, Gerts, to watch the Baltimore Ravens defeat the San Francisco 49ers in the 47th annual Super Bowl. In pure Super Bowl tradition, the generous staff at the bar served delicious chicken wings and die-hard fans began filling up the venue as early as 12:15. Although Brother Max Gubert was disappointed that Taylor Swift was not selected to be the halftime show performer, Beyoncé impressed the crowd that included at least 100 football-loving women. In addition, Elder Brother Brock Clancy was visibly taken by the former Destiny Child lead singer reuniting with her former group members. Zeta Psi brothers assisted the event by accommodating guests at the door, and as always, by adding vibrancy to the scene. Brother Conner Adams remarked that when the game was delayed for a power failure, the bar got filled up with Zetes in a manner of seconds. The heavily San Francisco favored crowd cheered as the 49ers closed a 22-point deficit to 5 points, but ultimately had to accept Baltimore’s victory. Special thanks goes to the Gerts staff for catering to the needs of all the attendees and to Brothers Brock Clancy, Dylan Sydneysmith and Antoine Crosby for making it to the event directly after completing an 8 hour drive from the Theta Phi chapter in London, Ontario.